Many people think massages are a luxury …something that you treat yourself to. They also believe that massages are just for relaxing. Our natural instinct is to turn to massages in the moment of need, and this is the reason why people self-massage sore muscles. 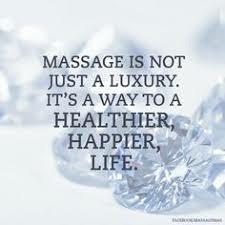 In reality, routine massage therapy has amazing benefits that can help you have a healthy daily lifestyle. Alleviate headaches – If you suffer from headaches from tension or migraines, massage can help reduce or even eliminate your painful headaches. Reduce joint/muscle pain – Massage will get to the root of the pain by relaxing tense muscles. Massage will also bring blood flow to the sore muscles, which can bring oxygen and nutrients. All of this activity reduces swelling and stiffness to help increase your flexibility to help eliminate pain. Massage releases the hormones in your body to help you feel good, promote healing, and assist with pain management. Reduce anxiety – Massage is a natural way to help you with anxiety by cutting your body’s level of stress hormones in half. Relax the body – Receiving a massage will help decrease cortisol in the body, which allows the body to enter a relaxing rest-and-recovery mode. This effect lingers long after the massage is over. Flexibility – By working on muscles, connective tissues, tendons, ligaments and joints, regular massage can improve your flexibility. It also helps keep your joints more fluid to make them less injury prone. Stretching, along with massage, will be a great combo to keep you more flexible and reduce soreness after a workout. Improve quality of sleep – There is a very strong link between weekly massages and increased quality of sleep. This is very important when you consider the many health issues that are caused by lack of sleep. Stress – Taking care of your body should be your first priority. By helping relieve the stress in your life, you can have a good night’s sleep and headaches will start to subside. Chronic stress increases your risk of developing disease. Take advantage of the stress-busting benefits of massage therapy. Lower blood pressure – If someone is looking for a more natural way to help lower blood pressure, then a consistent massage program can help. Massage can help by keeping your stress hormone levels under control. Re-energize – After a long workday you can feel drained. Swedish massages will relax you, but they are also known for making the receiver feel more energetic throughout the rest of the day. Blood Circulation – If you have any health conditions that slow down your blood circulation, massage will help with better organ function and improve cell growth. Massage also brings blood to the surface, which will help with healthier skin. Combined with a balance diet and regular exercise, massage can be a powerful, natural cure for a healthier lifestyle. 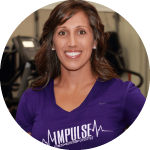 Schedule your massage with Michelle today by calling 330-499-2266!